A diabetic patient should follow a healthy lifestyle. 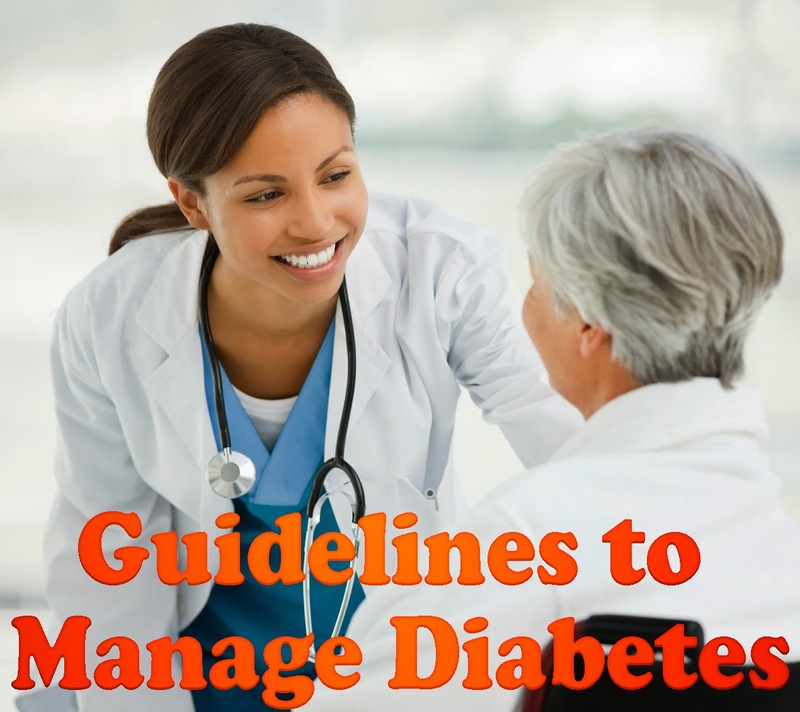 Below are some simple guidelines that will help diabetics lead a normal life and avoid the complications that uncontrolled diabetes can cause. 1. Consult your doctor regularly. 2. Follow the diet plan as suggested by your doctor. 3. Maintain regular meal times. If there is a delay in having your meal, have a fruit or a glass of buttermilk at that time. 4. It is important not to overeat at one time. Small, frequent meals are generally advised for diabetics. 5. Diabetics should reduce their alcohol consumption, if not cut it out totally. Doctors urge them to cut down on cigarettes as well. 6. Don’t hurry through your meals. Eat in a relaxed manner, chew carefully and slowly. 7. Person suffering from diabetes must cut down all kinds of desserts and sweet preparations as they may cause an immediate and swift rise in the blood sugar levels. 8. Eye care is equally important. As a diabetic you run the risk of facing the following eye problems: cataract, retinopathy or glaucoma. 9. If your eyes turn red, irritable or cause you pain, consult a doctor immediately. 10. Some recommended forms of exercise are walking or jogging, tennis, badminton or cycling. 11. Examine your feet every day for any sign of injury. The importance of hygiene to a diabetic, as far as feet are concerned, cannot be over emphasized. Clean your feet with the mild soap and then dry them thoroughly after rinsing well. Ensure that the space between the toes is completely dry. Powder them everyday. 12. Guard against hypoglycemia. Always carry with you a pouch of sugar. Extreme low blood sugar levels can lead to unconsciousness.